Slot coating of particle suspensions is commonly used in the manufacturing of a wide variety of products. An important limit in this process is known as low-flow limit, which refers to the minimum wet film thickness that can be coated at a given substrate velocity. 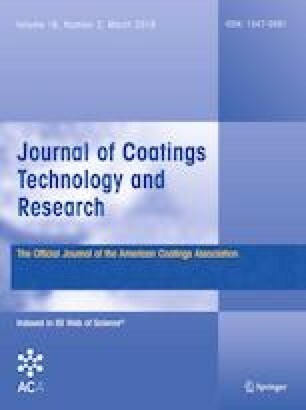 Recent studies have shown that shear-induced particle migration leads to a highly non-uniform particle distribution in the coating bead, playing an important role in the flow dynamics in slot coating of particulate systems. In this work, we extend the previous analyses to investigate the effects of particle migration on the low-flow limit in slot coating of particle suspensions at both dilute and concentrated conditions. As a first approximation, the suspension is modeled as a Newtonian liquid with a concentration-dependent viscosity, and shear-induced particle migration is described according to the diffusive flux model. The resulting set of governing equations is solved with a stabilized finite element method coupled with the elliptic mesh generation method for the free-boundary problem. The results show that particle migration changes the liquid viscosity near the downstream meniscus and strongly affects the force balance that sets the critical operating conditions at the low-flow limit. Remarkably, it was found that particle migration enlarges the operating window of the process when the suspensions are compared to a Newtonian liquid with the same bulk properties, especially at high concentrations. Presented at the 19th International Coating Science and Technology Symposium, September 16–19, 2018, in Long Beach, CA. This work was supported by the Brazilian Research Council (CNPq) and the Industrial Partnership for Research in Interfacial & Materials Engineering of the University of Minnesota (IPRIME).